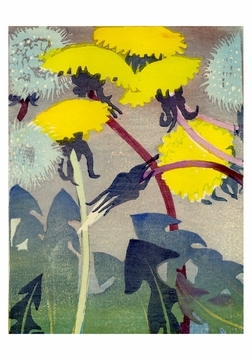 Mabel Royds was best known for her woodcuts. She grew up in Liverpool and studied art at the Slade School in London. After working with Walter Sickert in Paris at the turn of the century, she traveled regularly, including to India. In her later years, Royds concentrated on flower studies and religious subjects in her woodcuts.